This design resulted from one of the first projects to investigate what the ‘sense and simplicity’ brand promise would mean for the identity of a range of Philips products. Philips Design has graciously allowed the use of the images shown here. Focusing on personal care products, our team advised to greatly reduce the amount of shapes, details, materials and colors used in the Philips product range. This allowed the designers to focus on the truly important functional aspects of products; using less, but higher quality materials. To make our recommendations tangible, we designed several conceptual products such this electric shaver and a female ‘bikini’ trimmer. The anodized aluminium shaver body has been been maximally reduced in complexity, while retaining a functional ergonomic shape. Interface elements, such as battery indicators, are hidden and only show up when they are needed. This reduced complexity allows the focus of the product to shift to where it matters: to the functional shaving head icon. We also suggested the use, across all personal care products, of a single charger form factor (with an integrated cord winder), one high-quality branding execution and a recognizable ‘thumbprint’ on/off shape. 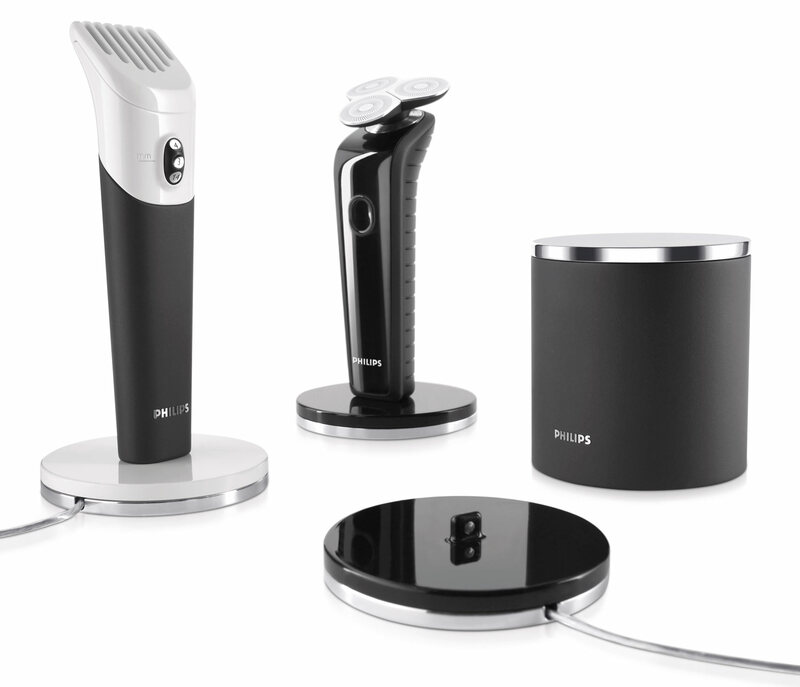 The beautiful beardtrimmer shown in the image below was designed by Care Code team member Roland Bird of Gro Design.